We all have trouble sleeping from time to time, but the causes of poor sleep can vary from one person (or couple) to the next. For instance, you may toss and turn while your partner may sleep too hot. So finding the right mattress to meet everyone’s specific sleep needs can be a real challenge. What if there was a mattress designed to address the most common causes of poor sleep? Plus, only Serta is working with the NSF to help people improve the quality of their sleep through both optimal mattress design and enhanced sleep education. 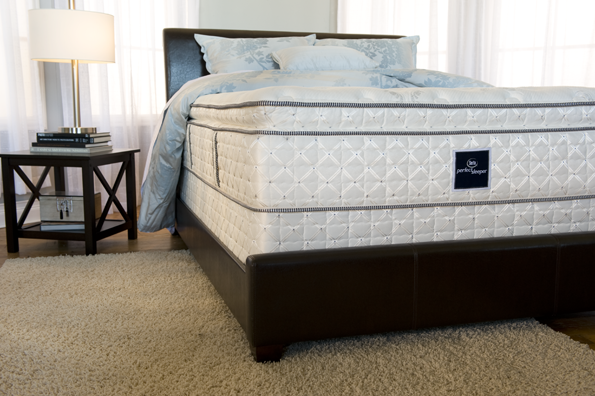 Every new Serta Perfect Sleeper mattress comes with the National Sleep Foundation’s exclusive Guide to Sleeping Well. This informative booklet provides tips, suggestions and resources to help you get the most from your new Perfect Sleeper mattress each and every night. Now with every new Perfect Sleeper you will have at least 5 reasons to never count sheep again!